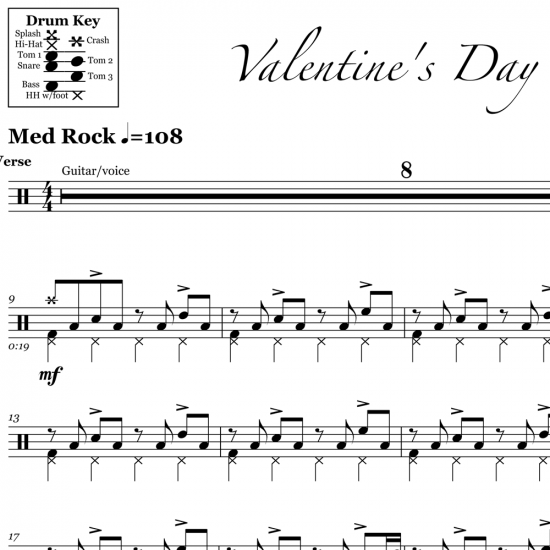 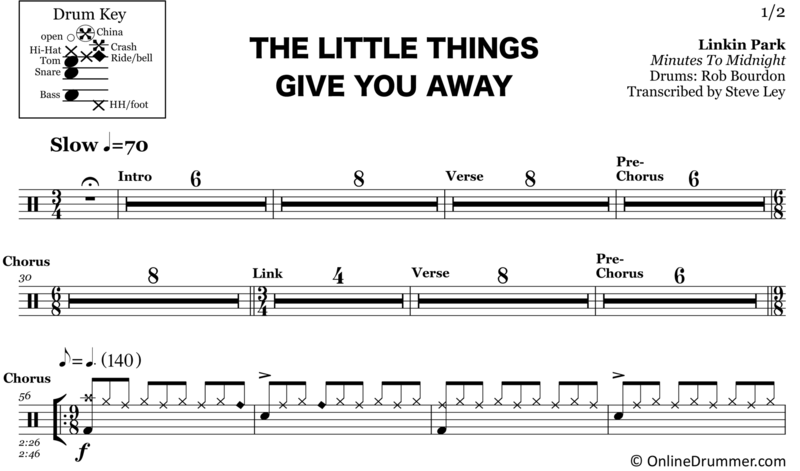 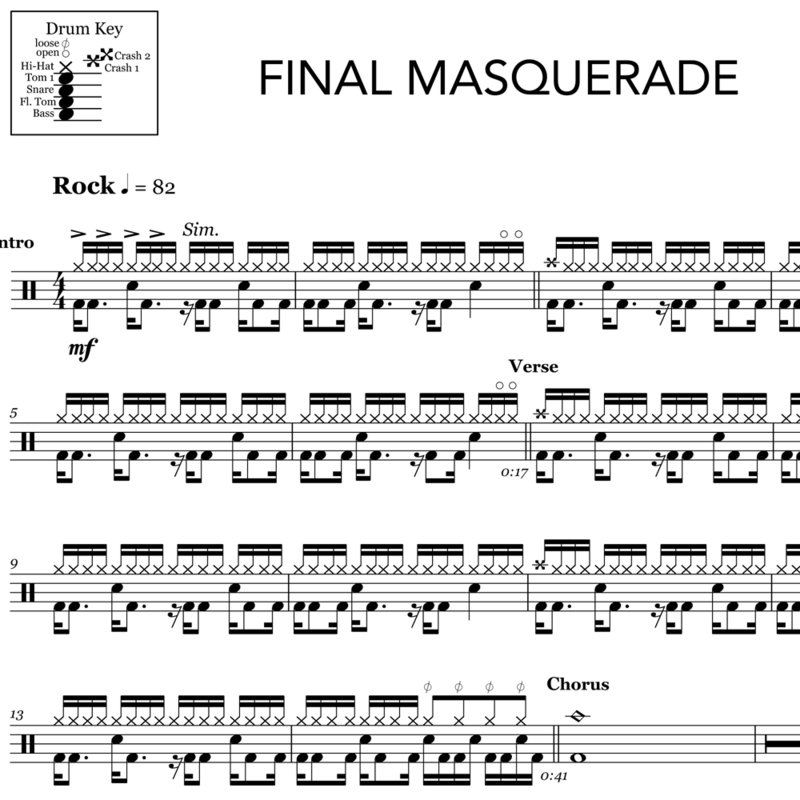 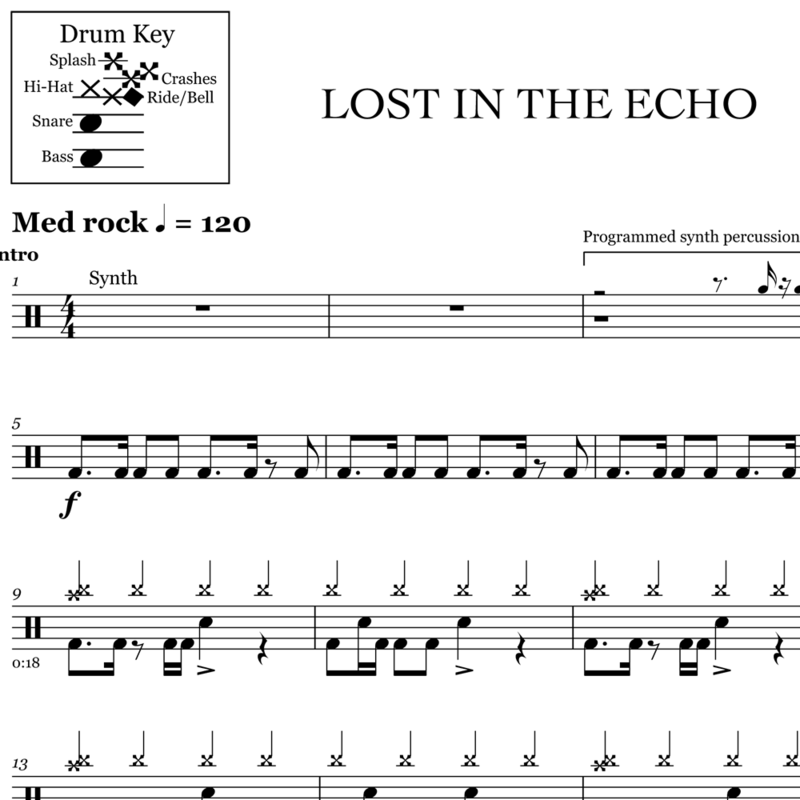 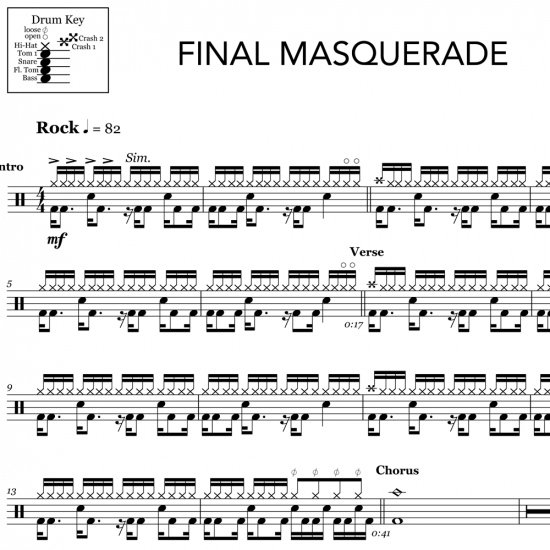 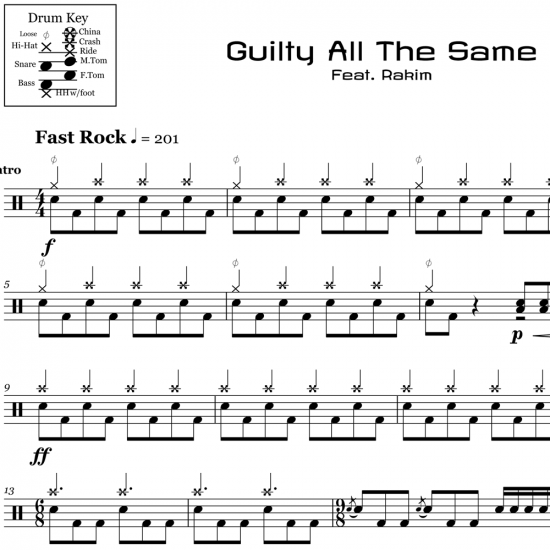 The full drum sheet music for “The Little Things Give You Away” by Linkin Park from the album Minutes to Midnight (2007). 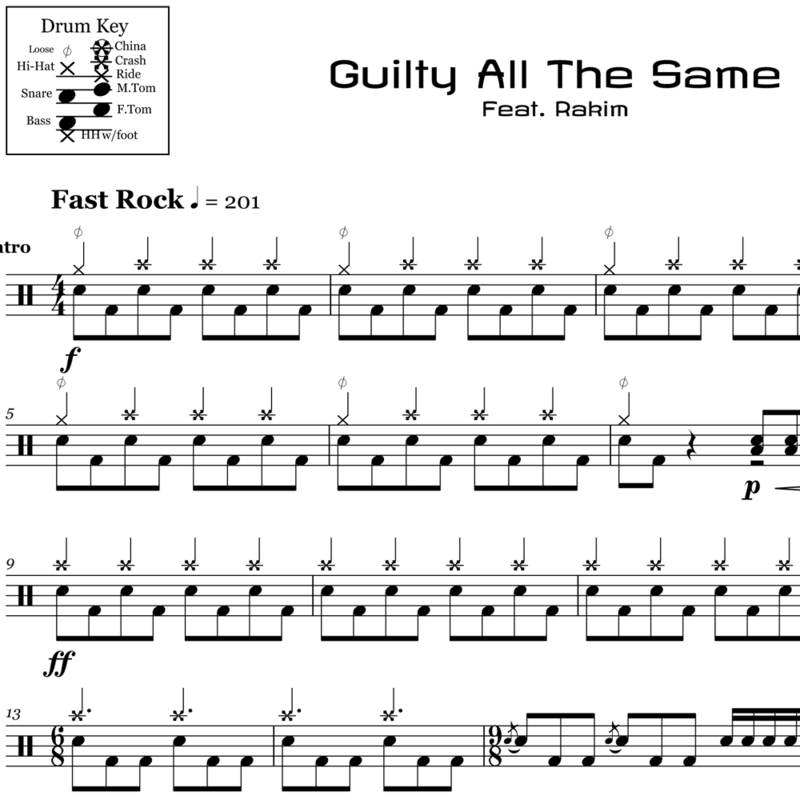 A drum machine playing a slow waltz rhythm is heard for the first two and a half minutes of the song. 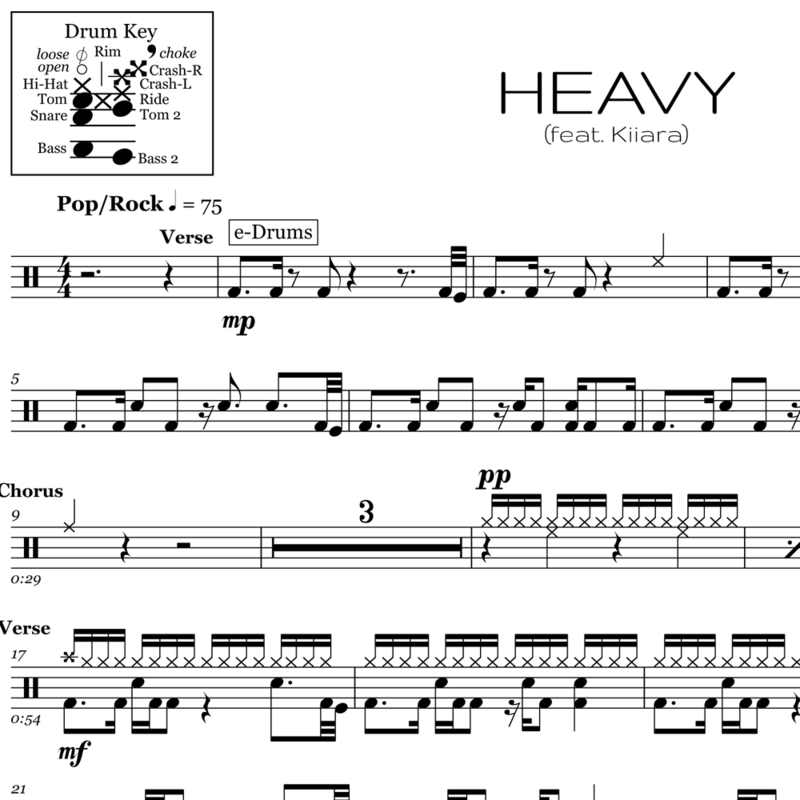 The drum set part enters in the second chorus (2min, 26sec), bringing with it an entirely new feel. 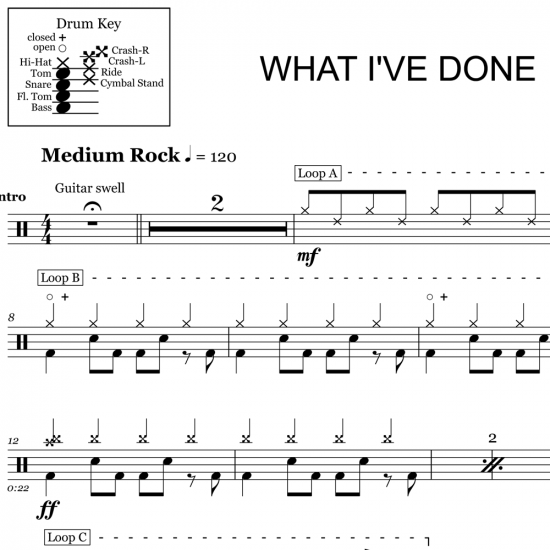 Alternating sticking is used for the rest of the song. 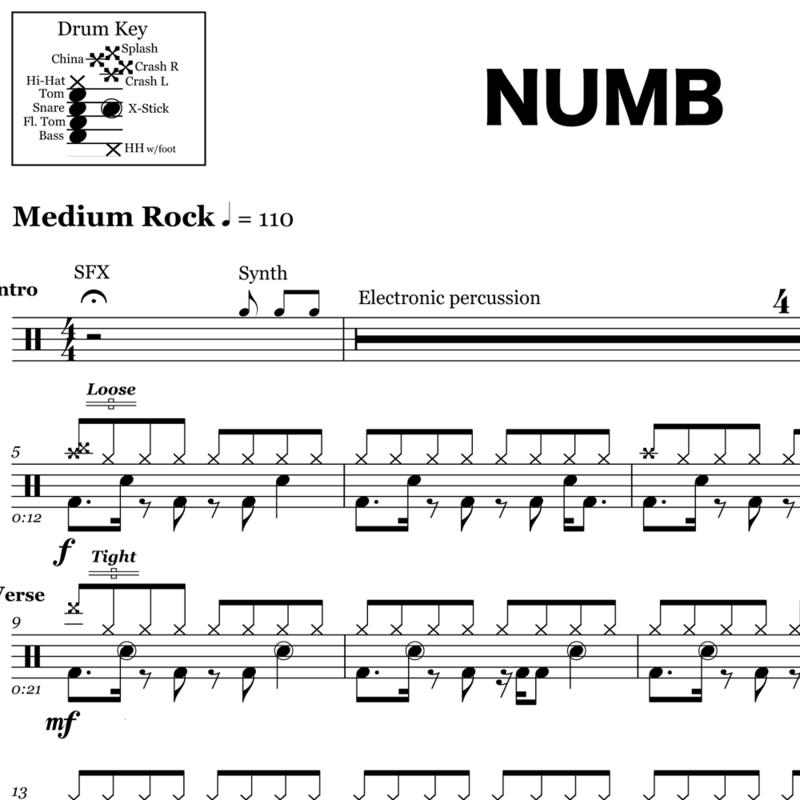 “Drum Song” was the song’s working title, based on drummer Rob Bourdon’s compelling rhythm heard in the bridge section (3min, 12sec).